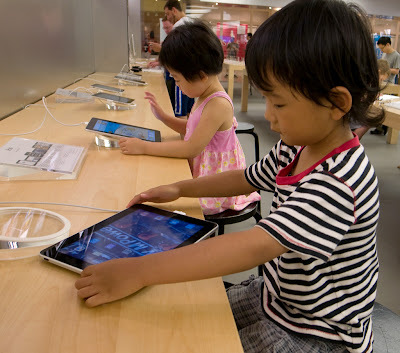 Apple iPad: New Tool for Children with Special Needs? The other day, Sam went to see Paul Beleen, his therapist. Paul is from Belgium, and he only comes here once or twice a year to see his patients. Paul is a blessing in so many ways - he works wonders with Sam, and he lends Sam equipment that can help him in his development. The last time he was here, he left AFOs (support for the feet so that Sam can work on standing up). After this last session, Sam went home with a new "walker." It's a special contraption that is much like the regular walker that kids use, except that it is fitted for children with special needs. It's bad-a@# actually, and we're all thrilled that Paul is lending it to Sam for a while. Maybe sooner than we think, Sam might actually be walking on his own! Anyhow, Paul also mentioned to Mark and Hannah that they ought to consider getting Sam an iPad. Whoa! THE Apple iPad? Of course, we've (Mark, Hannah, and I) been lusting after the iPad for quite some time now, but we can't really afford it just for the heck of having it. After what Paul said, though, there IS a more than good enough reason to think of getting an iPad. I did some research and it seems that, indeed, a lot of parents and educational institutions are starting to use the iPad to assist special kids in their development. It's quite logical, actually. 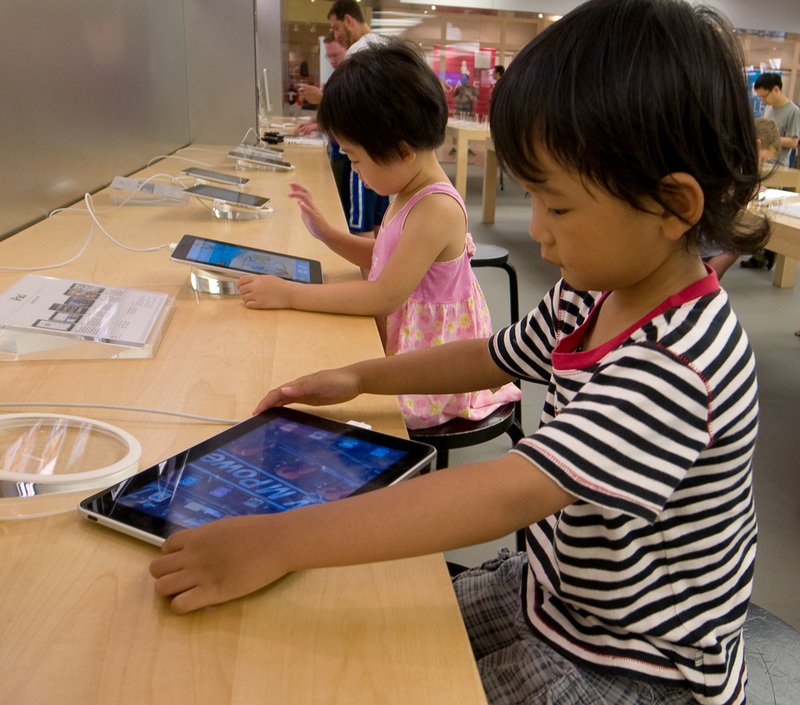 The touch screen capability is more suited to kids whose motor skills are delayed. The interaction provided by many apps are perfect for catching and sustaining a child's attention. Sam is already fascinated with the iPod and MacBook - imagine how interested he'd be in the iPad! There are many apps being designed and released for education purposes. With more people purchasing the iPad for their kids, it will not be surprising to see more educational apps especially for special kids. Yes a friend has been using it to teach special kids.